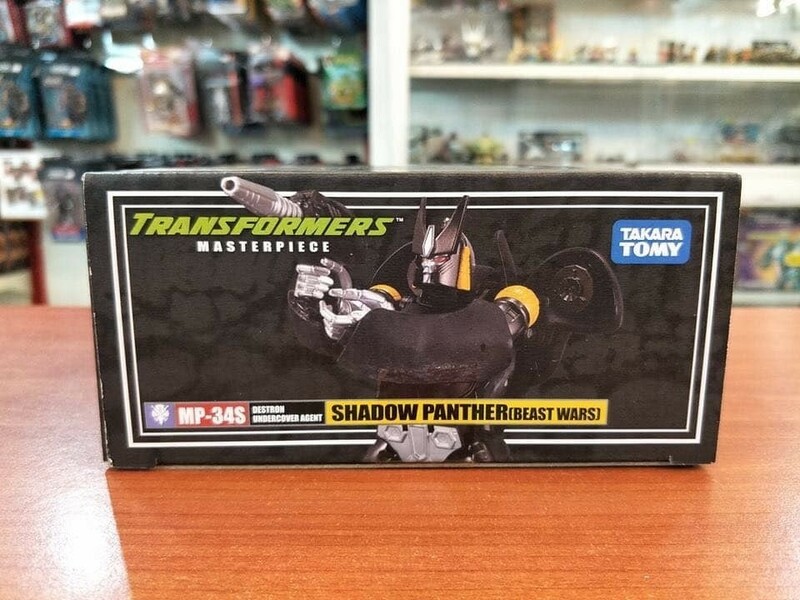 We have some unfortunate pieces of news for Transformers fans in Australia, specifically about the Takara Tomy Masterpiece MP-34S Shadow Panther and its initially reported availability at the Toys R Us chain stores across the country: user Millhouse over on OzFormers has shared an email from the company now stating that they will not be fulfilling the orders for the figure, as they no longer carry it for a number of reasons, stated below, and are only offering store credit, not refunds. We regret to inform you that unfortunately we are not able to fulfil your Toys R Us Online Order for the following product, due to insufficient stock levels. Toys “R” Us Australia have recently entered voluntary administration; therefore, a refund cannot be processed. We can however, offer for you to choose other items to the same value, on our website www.toysrus.com.au and we will process this at no further charge to you. We can also provide your details to our creditors, who will contact you with a proof of debt form request. The other alternative is to lodge a dispute with your bank for the amount charged on your credit card for this transaction. You will more than likely get your money back for the order we are unable to fulfil. We understand your frustrations with this matter and sincerely do apologise for any inconvenience caused. Should you have any concerns regarding this matter, please do not hesitate to contact us on 1300 8697 787. This is, unfortunately, part of the bigger news that TRU Australia is also going into administration, as we first reported here. And if you're in for bad news, we also have final confirmation of the tax changes brought about by government, meaning that Amazon will no longer be shipping to Australia as of July 1st. Read more about it thanks to Burn over in the Australian Sightings thread. "Insufficent Stock Levels?" That seems odd. Unless insufficent stock means "We didnt order it from Takara". But still, makes me wonder if this is just the Admin limiting excess product or if something else is going on? Flashwave wrote: "Insufficent Stock Levels?" That seems odd. Unless insufficent stock means "We didnt order it from Takara". But still, makes me wonder if this is just the Admin limiting excess product or if something else is going on? it means they are no longer getting any. you can still get the figure just not through toys r us, right? Ultra Markus wrote: you can still get the figure just not through toys r us, right? Correct, the figure is still in production and will still be available from other sellers. But the money you wanted to use to purchase one is now stuck as credit for a dying store? In Australia, yes, as that's the only TRU that is/was offering it (not even in Japan). Sounds like they do have alternate ways of getting their money back, though. It's kinda dumb that they took payment in advance, most stores, including US TRU, don't charge for pre-orders until the items come in stock. 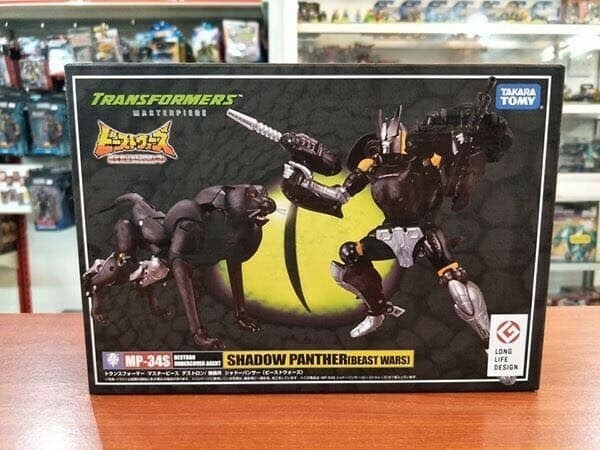 Via regular source of news Weibo, and its user 蓝色正午, we have some in hand images of the packaging for the Takara Tomy Transformers Beast Wars Masterpiece MP-34S Shadow Panther! 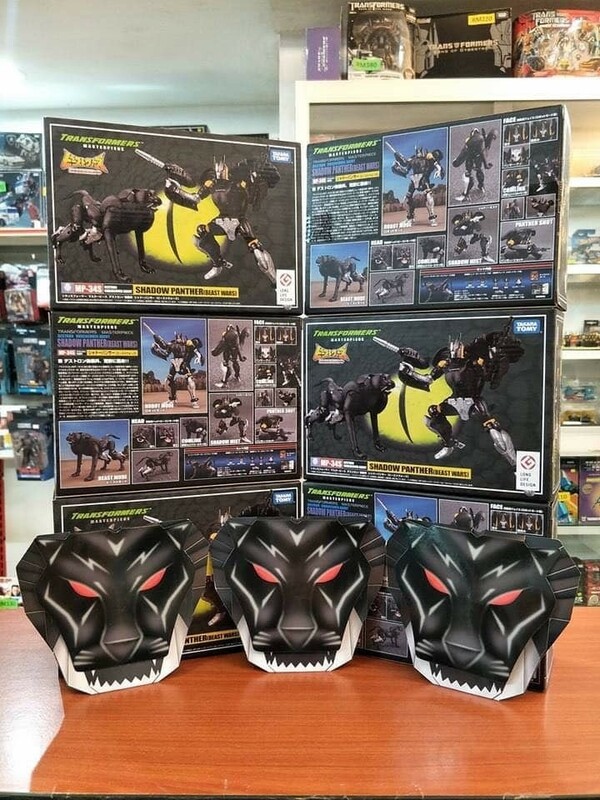 You'll remember that the figure is a black redeco of MP-34 Cheetor, with the addition of a new battle / mutant mask, a communicator arm band and swappable facial expressions. 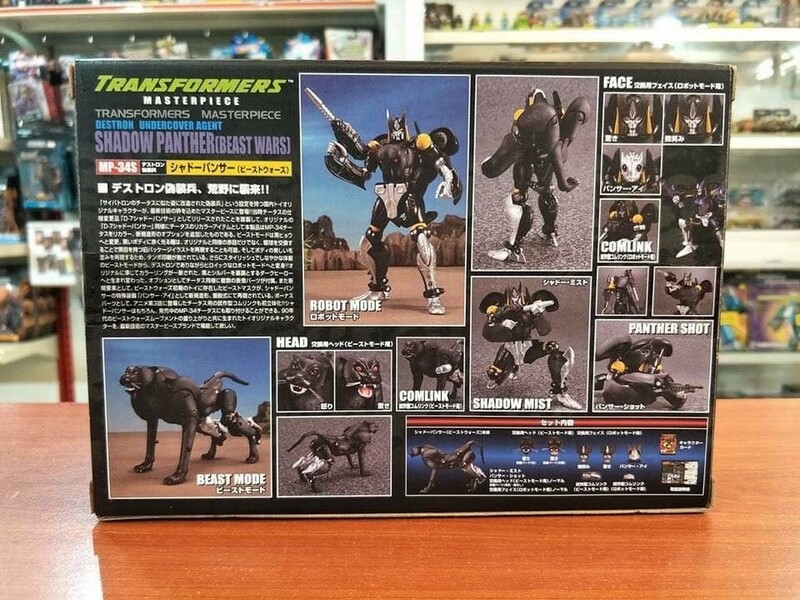 The character of Shadow Panther is a homage to the old Takara Tomy Beast Wars D-7 Shadow Panther, also a repaint of the first Beast Wars cast member toy - our gallery can be seen here. 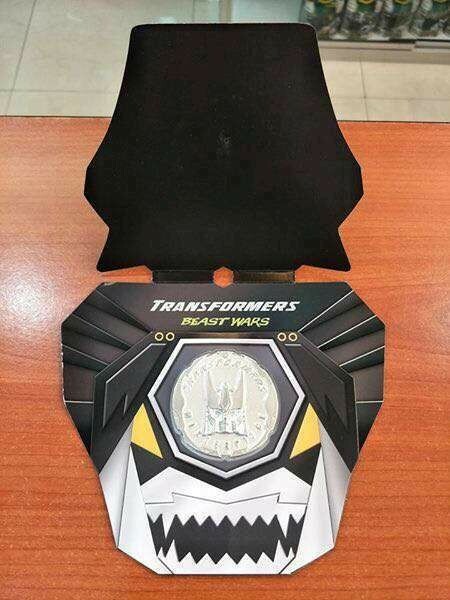 Also included below are images of the collector coin available to some markets, and its packaging. Check it all out! I'm not entirely pleased by the alt. mode, but having MPs of non-show characters is definitely neat... even if probably they'll release only those that were repaints of major characters. Speaking of which... no plans for a re-release of Cheetor? It's the only BW MP that is almost impossible to find at a decent (honest?) price. I'm liking the contrasting paint apps to Cheetor. I think I'll display him with the Mutant Mask though. To differentiate him from Cheetor and because he isn't a "real" character, so he could look like anything regardless. 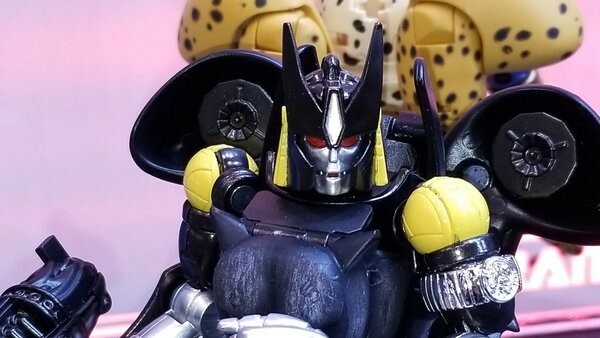 The mask seems more fitting for a Predacon face, as only Megatron and Terrorsaur ever had standard faces. He arrived yesterday and I am very pleased with my first BW MP redeco. The problems I had with Cheetor seem lessened by a more understated and uniform colour palette. The Mutant Mask is actually the best face sculpt he has. 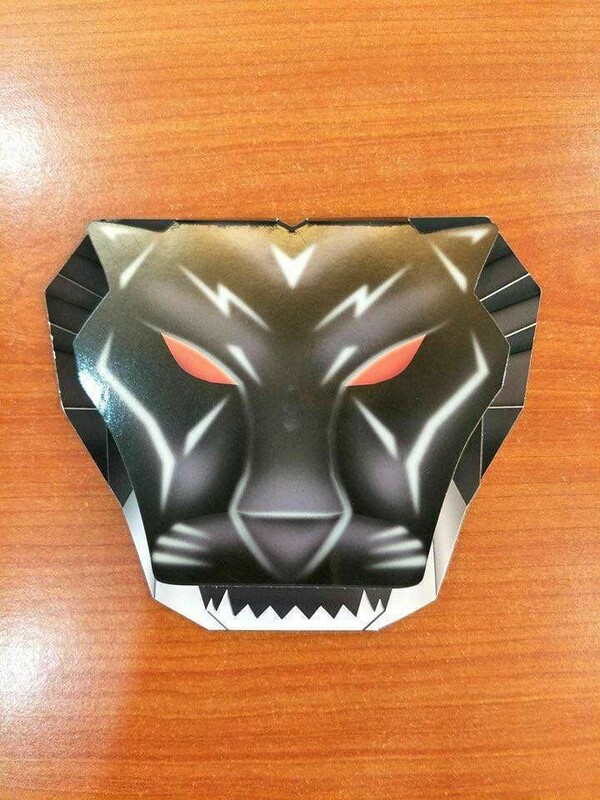 So shiny, it suits the change in aesthetic more so than the standard Cheetor faces. Of course the altmode isn't a panther, but in my case that comes down to nitpicking as I didn't really like the articulation proportions of Cheetor's Beast Mode either. Very pleased with the first MP Predacon overall. Cheetor is still my least favourite MP Beast Wars figure so far.